Fall is here, and like many of you, I am back in a routine. There are some parts of this routine I love – on most Sundays, I make a dish that will generate leftovers for the week ahead. Often, that means a big pot of soup. When things get busy, it’s reassuring to know that I have a supply of meals already prepared. 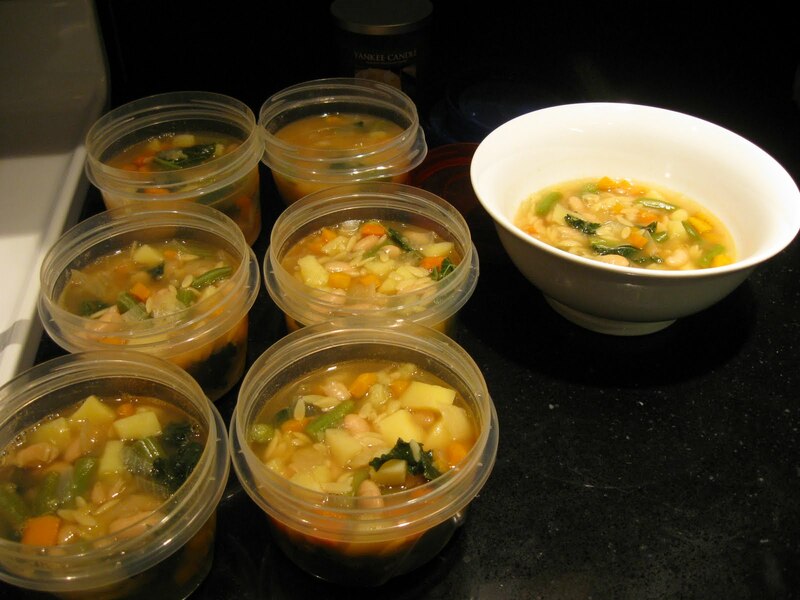 This week, I chose a Fall Minestrone recipe. A hearty vegetable based soup is the perfect healthy lunch. This soup did involve a lot of peeling and chopping, but is otherwise very easy. 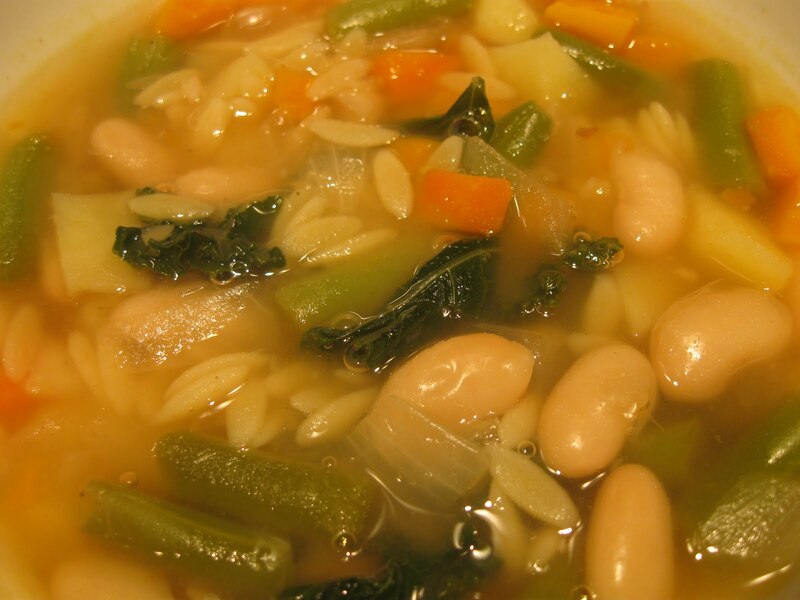 It features onions, carrots, potatoes, green beans, butternut squash, kale, white beans and orzo. The flavor is very mild, with just a touch of salt and pepper. When the soup was done, I let it cool for a few minutes and then divided it right up into containers, plus a bowl for dinner. By the time I finish dinner and clean up, the soup has cooled down and I can put the lids on the containers and store them in the refrigerator or freezer. And of course, I also pack small containers of freshly grated Parmesan to bring with the soup. It’s the little things that make a packed lunch more fun! Yum, and I agree cheese totally makes soup even better.